The protection of minors and vulnerable persons is an integral part of the gospel message that the Church and all its members are called to spread throughout the world. In fact, Christ himself entrusted us with the care and protection of the smallest and most defenseless: "whoever welcomes one child like this in my name, welcomes me" (Mt 18: 5). Therefore, we all have the duty to generously welcome minors and vulnerable people and to create a safe environment for them, taking their interests first. This requires a continuous and profound conversion, in which personal holiness and moral commitment can contribute to promoting the credibility of the Gospel proclamation and to renewing the educational mission of the Church. - adequate training is provided for the protection of minors and vulnerable persons. iii. on the occasion of the exercise of their functions, by the public officials of the State or by the subjects referred to in point 3 of the Motu Proprio "To our times", of 11 July 2013. 3. Spiritual, medical and social assistance is offered to persons who have been abused by the crimes referred to in Article 1 of Law No. CCXCVII, including therapeutic and psychological urgency assistance, as well as useful information of a legal nature, through the Managed Accompanying Service by the Directorate of Health and Hygiene of the Governorate of the Vatican City State. 4. The Labor Office of the Apostolic See organizes, together with the Accompanying Service of the Directorate of Health and Hygiene, training programs for the personnel of the Roman Curia and of the Institutions connected with the Holy See concerning the risks in the matter of exploitation , of sexual abuse and mistreatment of children and vulnerable persons, as well as on the means to identify and prevent such offenses and the obligation to report. 5. In the selection and recruitment of personnel from the Roman Curia and institutions connected with the Holy See, as well as those who collaborate on a voluntary basis, the suitability of the candidate to interact with minors and vulnerable persons must be ascertained . 6. The Dicasteries of the Roman Curia and the institutions connected with the Holy See to which minors or vulnerable persons have access have adopted, with the assistance of the Accompanying Service of the Health and Hygiene Directorate, good practices and guidelines for their protection. I establish that the present Apostolic Letter in the form of "Motu Proprio" is promulgated through the publication in L'Osservatore Romano and, subsequently, inserted in the Acta Apostolicae Sedis. I agree that what has been established has full and stable value, even repealing all incompatible provisions, starting from June 1, 2019. 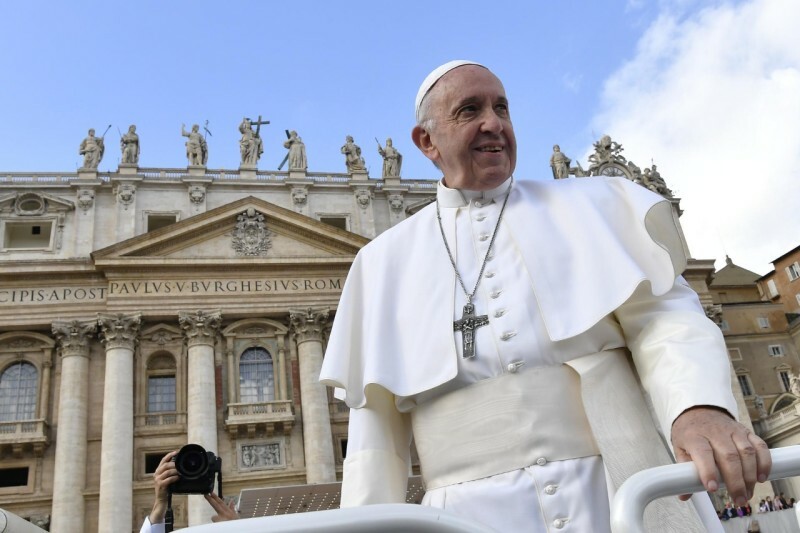 Given in Rome at St. Peter's, March 26, 2019, seventh of the Pontificate.